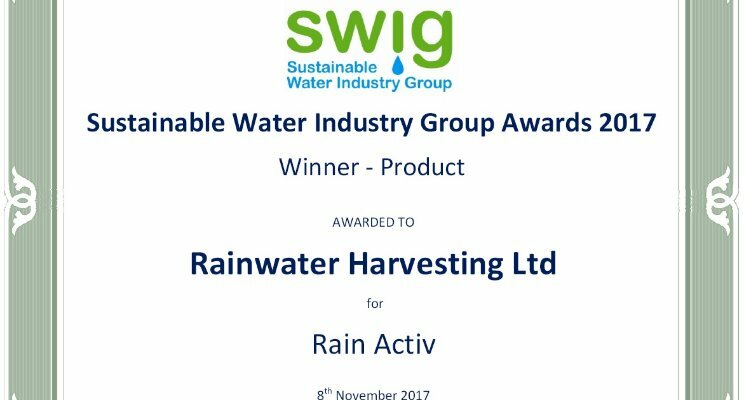 Rain Activ has won the prestigious Sustainable Water Industry Group (SWIG) product award. 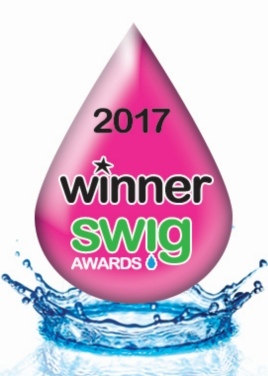 The awards were judged by industry leading experts in Sustainable Water. In a hotly contested category, Rain Activ stood out for it’s ability to save costs by providing effective storm attenuation at a price point never seen before in the industry as well as combining with Rainwater Harvesting. “Our climate is changing with longer droughts and more intense rain events. We have a firm belief that a more holistic approach to rainwater management is vital; treating stormwater as an asset rather than a threat. Rain Activ goes some way to achieve this by storing rainwater for drought as well as simultaneously proving quality storm attenuation. Our goal as a company has always been put rainwater harvesting at the very forefront of sustainable design. We firmly believe using drinking quality water to flush toilets or water the garden as one of the most wasteful practices of modern times. Although universally accepted as an excellent practice, Rainwater Harvesting has sometimes suffered over the years with accusations of high cost and slow return on investment, damaging it’s implementation. Rainwater Harvesting Ltd would like to thank the judging panel as well as the other competitors, all of which we consider excellent innovations in the sustainable water sector.